In May of this year, we finally moved into it, but of course there were still lots of things to do. And there are still lots of things to do. With the exception of Grunt Labor pulling out nearly every shrub in the front of the house, the only other changes to the exterior have been the front door entryway. I painted it to try and get a better idea of what would look good with that brick color. Y’all know I love me some green, but this shade of green that the previous owners painted every single door, shutter and trim on the house is just not jiving with me or the brick. Not sure what direction we’ll go for all that, but at least we do know that black works well with it for now. We also still need to replace the old zero-energy-efficient windows as well. 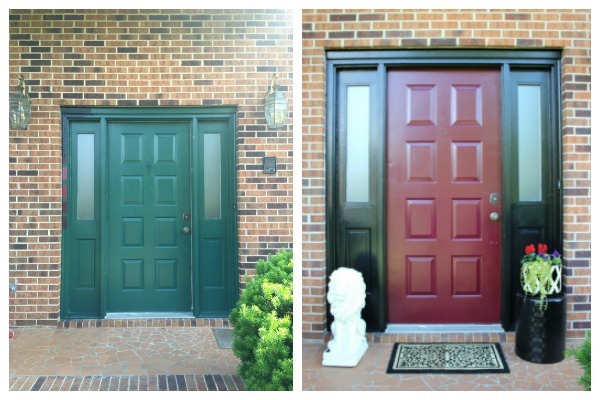 You can see more of the exterior entry makeover here. The entryway is a true testament to the power of paint. We did switch out the flooring and light fixture, but painting the walls and metal hand railing made a huge difference. I do want to replace the metal hand railing at some point, but since it’s just a cosmetic issue at this point and a not a huge one at that, it’s getting pushed to the back burner. 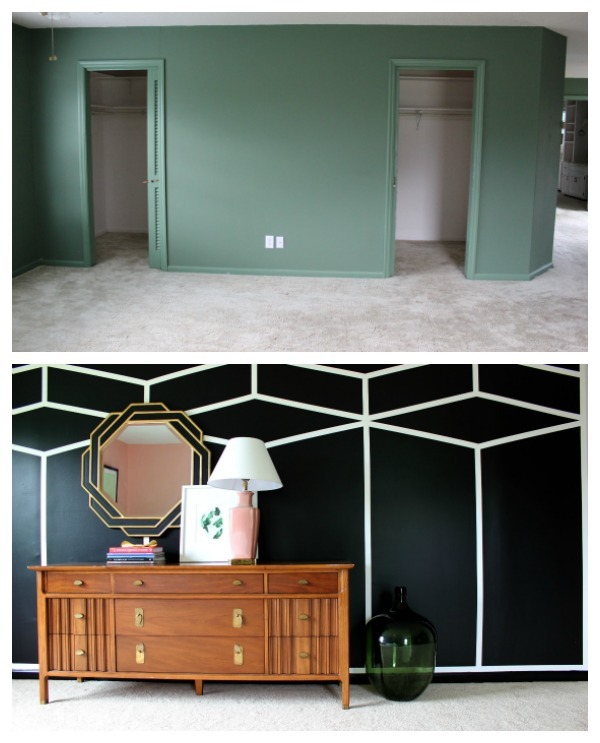 You can see more of the entryway makeover here. The living room is one of my favorite rooms in the house. Since these photos were taken, I have actually added these red velvet curtains to the windows in here, I just haven’t had time to take new photos. I can’t wait for y’all to see how gorgeous they are in the room though. I’m planning to replace the ghost chairs with more formal, comfortable chairs and after waiting forever to find the perfect ones, I think I finally have. They are these in green velvet. However, they aren’t the cheapest chairs on the block, so it will probably be a little while before I can get my hands on them. You can see more of the living room in this summer home tour post. The dining room also got the same cherry red velvet curtains as the living room. I still need to reupholster the dining chairs. I do love the blue shade of them in that space, so I’m sure I’ll go with something similar. You can’t tell in these photos, but the upholstery isn’t in the best shape on them. I’ve also got some plans for some affordable, but high impact wall decor opposite the oversized art to balance that out. 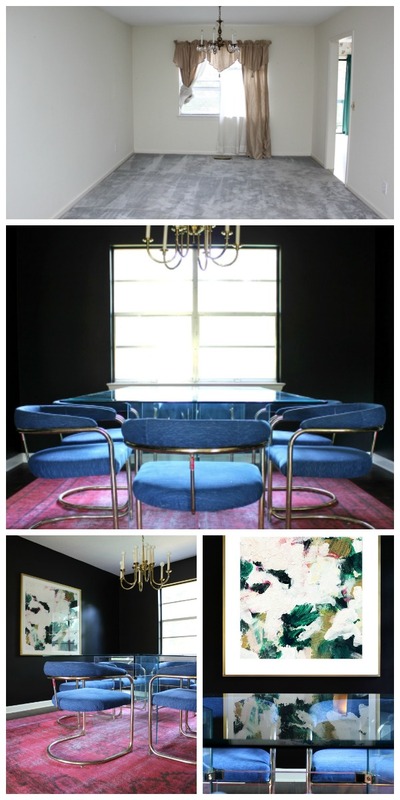 You can see more of the dining room in this summer home tour post. Really, there isn’t much left to do in here. I need to paint those side tables red, but that’s about it. 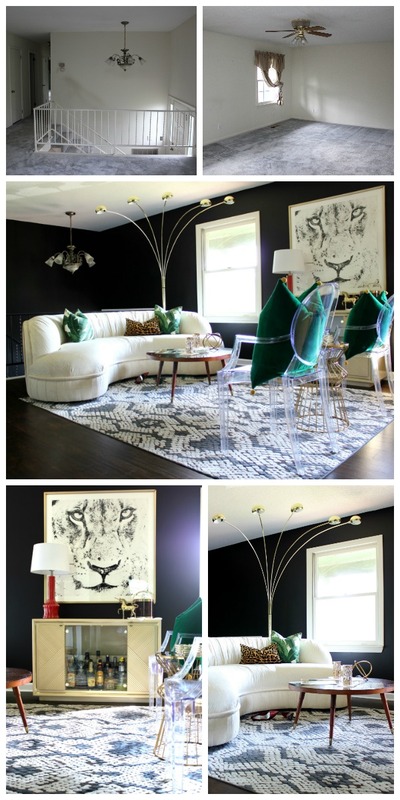 I wouldn’t mind layering on a cowhide or maybe a fur rug on top of the zebra print rug, but it’s not needed or anything. You can tour more of the Jungle Room here. The hall bathroom turned into a hot mess when it came to the renovation. In the end though, it turned out really great. I think it has the perfect amount of “fun” for the Circus and “pretty” for guests. Besides upgrading the fan in there, there’s nothing else to do here! See more of the hall bathroom here. I am in love with the Circus’ room. I truly hope she loves it just as much as I do. It turned into the perfect reflection of her little self’s big personality. I have added these bright raspberry curtains to her window, which were the perfect pop of color to the space. I still want to build her a stand for a horse saddle we have so that she can “wrangle” up the cows. 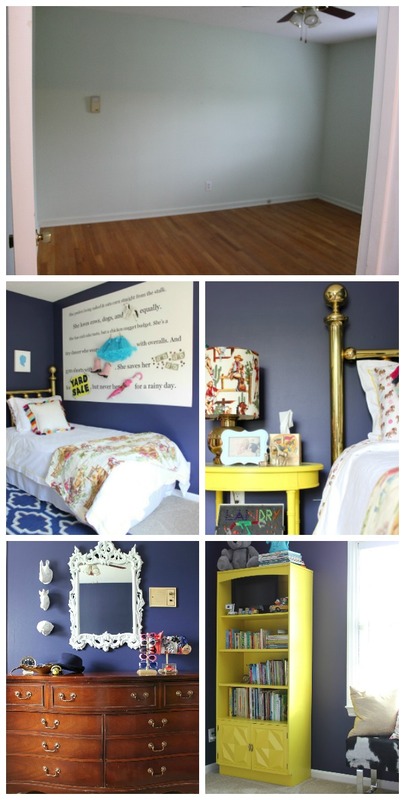 See more of the Circus’ room in this home tour post. 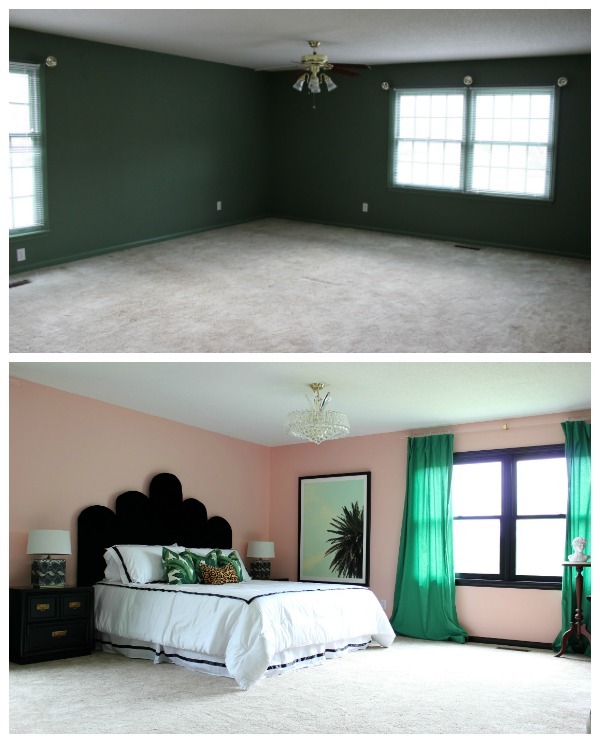 The master bedroom was actually the very first room completed. I still love our vintage, Hollywood, Palm Beach vibe we have going on in here. And yes, I still love the carpet covered wall too. It’s not everyone’s cup of tea, but it’s my shot of whiskey. There is a sitting area connected to the bedroom that we have yet to tackle. See more of the master bedroom here. 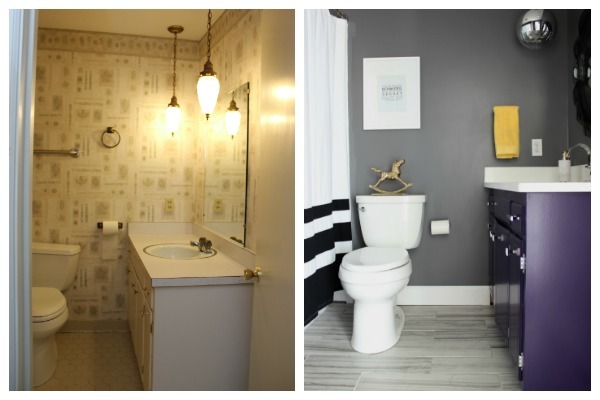 The master bathroom turned out exactly how we wanted it too. In our previous house, Grunt Labor and I didn’t even share a bathroom because the master bath was just too small for both of us. I used the hall one and he had the master one. For that reason, the hall bath had pretty much been decorated however I wanted it – it wasn’t too masculine. In this bathroom, I tried really hard to blend both masculine and feminine together. And of course brass, always gotta have brass. 😉 See more of the master bathroom here. What do you think of how far we’ve come? Amazing! Taking that look back really puts in to perspective what you can do when you put your mind to it! Enjoy the holiday season ahead, sit back, relax and have a drink in every room you work so hard on making it your own. Thank you, Beth! Believe me, I will be doing just that! This girl needs a break! Seriously… how do you choose color? I’m having really hard time trying to picture how my living room wood look in black (or any other color for that matter). Anyway… congrats for the job done in your house so far . Hi Mia! Thank you so much! Honestly, I don’t have a set system for choosing color I guess. I will say it’s usually the last thing I choose. First, I tend to find or look at all the other items I’m going to be using in the space like the furniture, art, window treatments, etc. Then, I think about what colors would go best with those things. I’ll usually buy sample pots of four or five colors and brush them on the walls and then choose one. I hope that helps you some! MWB is blown away! Love how you can be so bold with dark colors and it works. Very dramatic. Beautiful. Thank you MWB! You know I love ya! This looks like it was taken from the pages of Architectural Digest. I had to Google “how to spell Architectural”. When you aren’t tired any more, come to my house. I’ll have vodka and donuts. Can I still come to your house for vodka and donuts even if I am tired?! haha!! Thanks! What a difference a year makes! Awesome my dear! Carry on and continue to send pics!! Thanks, Julie! Definitely does make a difference – it’s went by slow and fast all at the same time! haha! Oooo Sharon, I LOVE that description of the master bath! Thank you! Love the home you’ve made! Wish I had even a little of what you’ve got, maybe it’s the beer I’m thinkinof. Enjoy one on me! hahaha!! Will do! Cheers, Anne! Thanks! 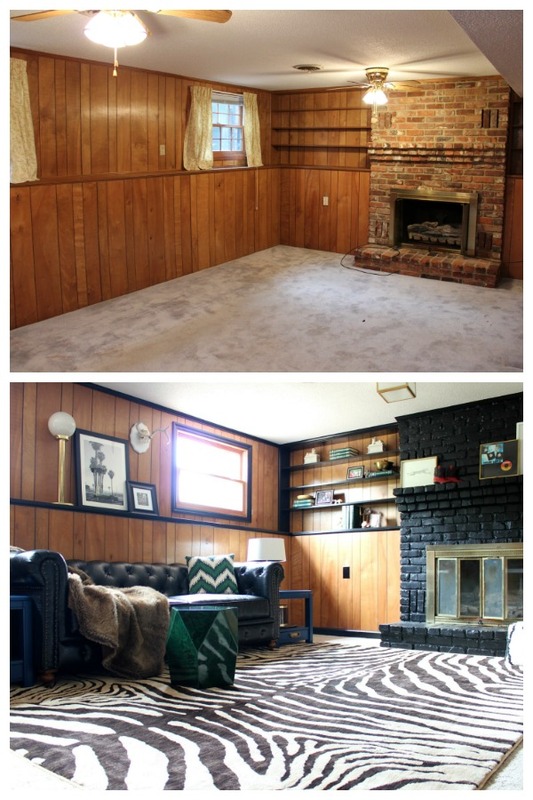 It is a daunting task to take on a total renovation the way you have, but look how far you have come. haha!!! You’re right, it never is! I swear, something always goes wrong no matter how small the project is I’m working on!! haha! Thanks, Patty! Wow! It’s so refreshing to see if something unique, instead of the same ‘ol, same ‘ol. I would never have thought that dark paint would would work, but it does! Thanks, Renee! I am all about unique and anything but the same ‘ol, same ‘ol. Glad to hear you’re that way too! The now pictures don’t look anything like the before. Love it!! Look forward to seeing the kitchen. Love how you keep it real! Thanks, Melanie! We are always real around here for sure! Hoping I can get photos of the kitchen up soon! I’m so glad you asked (What do you think of how far we’ve come?)! First…I cannot believe it’s been a year, but knowing that, I cannot believe all you’ve accomplished in one short year. Absolutely AMAZING!!! 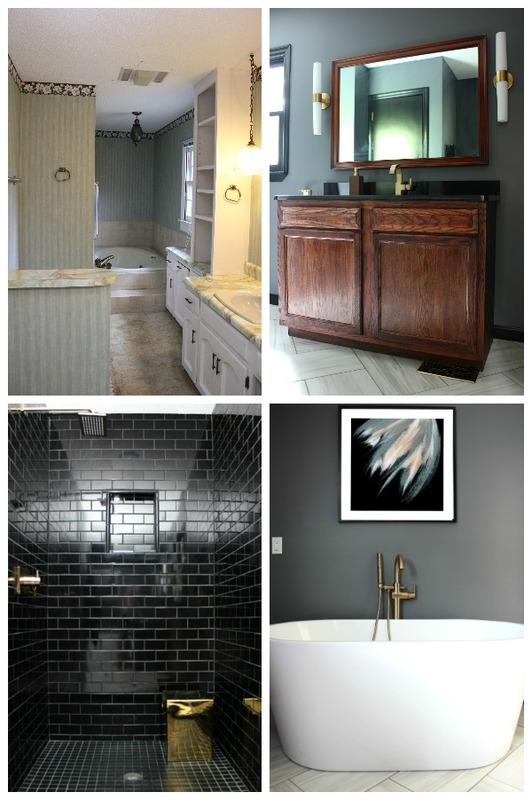 I’ve enjoyed seeing your transformation of every room ~ I always think ooooh….that’s my favorite 🙂 And trying to decide which really is my favorite, I can’t! Y’all have done an (here comes that word again…. )AMAZING job. Enjoy your beautiful home – you deserve it!! Pam, you are too sweet! Thank you girl! I can’t believe it’s been a year either – it seems like it was a short and long one all at the same time! Thanks, Debe!! It’s one of my favorite things too and would you believe a friend gave me that table for free? And the dining chairs were only $10 at a yard sale! Wow!!!! 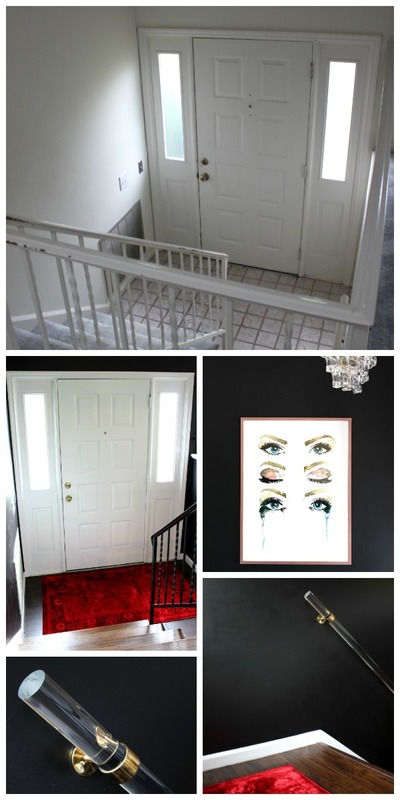 This is the BEST split foyer makeover EVER!!! My husband and I bought one about 30 years ago in my childhood neighborhood. We ultimately sold it a couple of years later because it was so limited. Thanks, Ann! 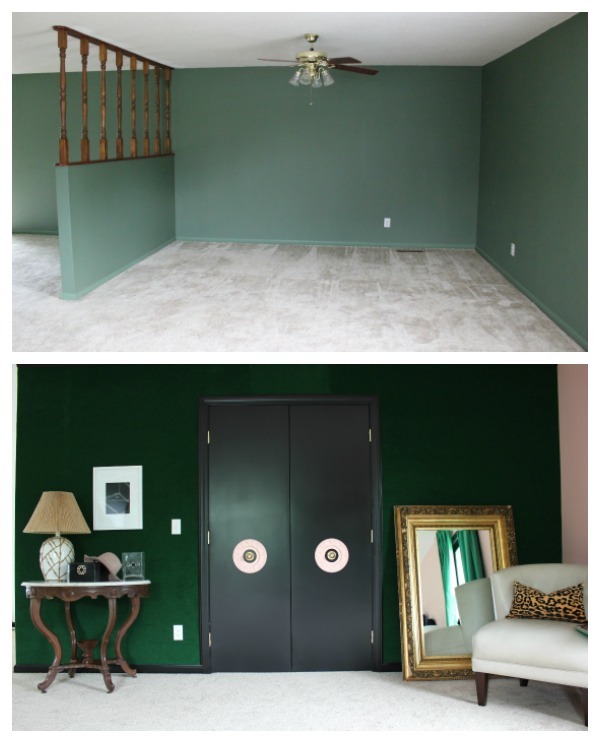 I love how the foyer turned out – it’s better than I thought it would be! Wow amazing transformation! This is so encouraging! I love all the colors you chose!